Is it really the world’s best concentrate cleaner? I 100% believe so and to stand behind that statement it’s the only product I know, of in its class, with a 100% money back guarantee. But there’s more to story of how it was created. The one thing I DID NOT want to do was create “just another” concentrate cleaner. Trust me… the one thing I stay away from is just “making stuff to sell stuff”. If it’s not really unique, doesn’t solve problems, or offer a better way… I’m not going to make it. 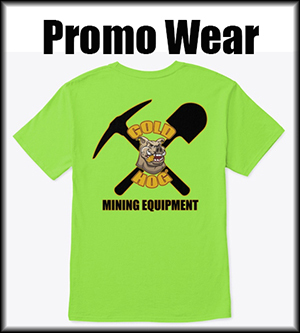 I wanted to create a “system” that was versatile, did the entire process, and could be used by just about every gold prospector and small scale miner. 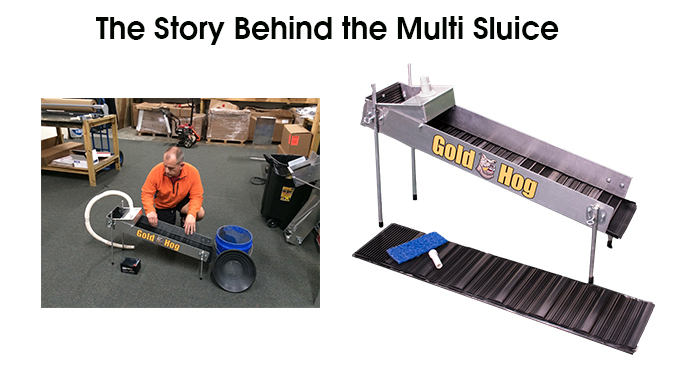 The Multi Sluice™ took a LONG time to develop; I’m guessing from start to release date was over a year. It had always been in the back of my mind, in ‘parts’ but pulling it all together into ONE unit was the hard part. 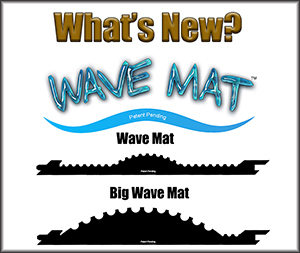 Another HUGE step was creating the Washer Mat™ which really its only purpose is for the Multi Sluice. The Washer Mat had to be re-designed 3 times and was very costly to develop. We had to create “just the right surface” for the stripping action, which rides a “tight line” between exposure and capture. The balance of this mat had to be just perfect. As far as the Multi Sluice… I knew what I WANTED it to do… but I also knew what I didn’t want it to do. I think that was more of driving factor sometimes than the “goals” for it to accomplish. I wanted it to be tunable to be able to catch super fine flour gold, down to the 200 mesh range. Many prospectors such as beach miners have nothing but 50 – 200 mesh gold. I didn’t want to end up with big pan full of “black mud”. Most concentrators leave you with several cups of black sands and gold mixed in. That takes hours of panning to clean. I wanted to have a “stripping step”. The stripping step would take SUPER CONS… that black mud, down to just tablespoons, leaving almost pure gold. I didn’t want to use several pumps to create various GPH flows. I didn’t want to go through eight steps of classifying. I wanted to keep it to two steps. I wanted it to be FAST. During the season I don’t have hours and hours to sit and watch a water cleaning system process cons… drip by drip by drip. I wanted to run my cons, usually 2-3 gallons, and be done in roughly 30 minutes. In the end… I was able to get all this done / avoid these issue. 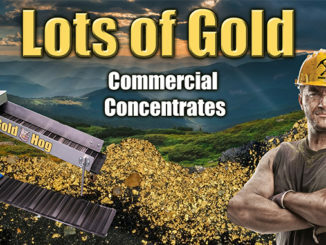 A person can take a bucket of concentrates and be down to almost pure gold in no time. Let’s go over the steps real quick. Take your concentrates and classify them to ¼”. Put in the aggressive mat , hook up the pump, and run the cons. (Most people run about 11 degrees pitch) This will take about 10 minutes depending on the amount of cons you have. When you’re done, clean the mat out and set the material aside. You’ll have about one cup of SUPER CONS. Much of your fine gold will already be caught, but this step gives it one more chance in a “smoother environment”. Take all the cons you just ran, tailings from the first run not the super cons out of the mat, and reclassify them to 20 mesh. Put in the Washer Mat and the reducer plug. Increase the pitch slightly. Run the cons again. Wash out the mats. You’ll end up with a few tablespoons of SUPER CONS from this run. I like to put ALL my super cons from both runs in a pan. 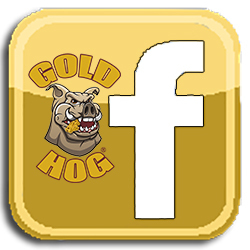 Tap it a bit and remove any large gold. We’re about to put it into a HIGHLY EXPOSED stripping mode and sometimes large flakes can flip out. The goal of this step is NOT 100% capture. The goal of this step is to create an environment where NOTHING can hide. In fact… the gold will often BARELY stay in this stage. We WANT TO LIVE DANGEROUSLY during this step. If we do that, the black sands will mostly be gone and pure gold is pretty much left behind, especially in the upper portions of the mat. (Get that point through your head.) It’s hard to accept for many prospectors. With the Washer mat in and pitch set to about 13 degrees, drizzle the roughly one cup of super cons into the header box. This will only take a few minutes, then shut down. When you shut down you’ll be amazed to see LINES of pure gold near the top of the mat. As you travel further down the mat, you may see a small amount of black sand as well. That is because it’s LESS DANGEROUS down there and the water is smoothing out. Put that material in a pan and tap it. You’ll have all your gold out in minutes. We’ve taken 2-3 gallons of concentrates down to almost pure gold. We did it in roughly 30 minutes. We did it with only two steps of classifying. We have virtually eliminated panning. Now you can see why so many people agree that this little “system” is the world’s best concentrate cleaner. It’s fast… it’s easy… and you have almost no panning left. It’s why it’s the only way we now clean our concentrates… period. 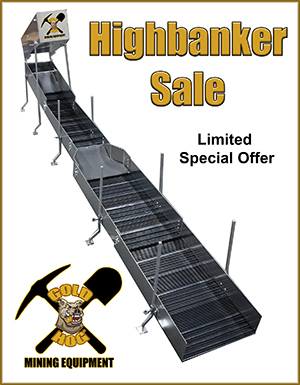 I still failed to address some other uses for the Multi Sluice, like running in the field as a mini highbanker for field testing, but… there are plenty of videos around to learn more. Since its launch the Multi Sluice has sold, and is in use, in just about every country in the world. It’s used in every part of the US and Canada. Everyone says the same thing. It’s a SLICK piece of equipment and performs just like we say it should. That… is what makes my job worth doing.